I was watching a few YouTube videos a couple of weeks ago and came across a video on felt books. This concept has been moving around a lot lately, yes, but what I didn’t expect was that my 5 year old went crazy watching the video! He adored it and asked me if I would buy one for him. Lo and behold! what does the artsy mom do? Pester ‘Shabi the Hubby’ to buy the basic supplies and start working in it! I didn’t print templates or brainstorm much. My boys r almost 5 years and just over 1 year old. They r both carazy ( see what I did there 😉 )… so car crazy!! So I decided to make a ‘ Felt Busy Page’ on Means of Transport. I had to hand sew all of it so I didn’t bother much with smoothing or hemming the edges. 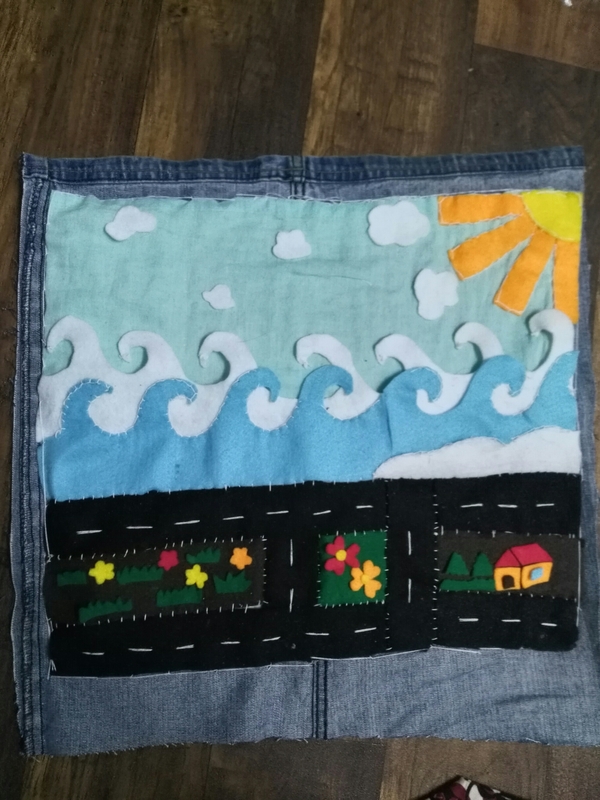 Kids don’t care about the finicky details 😛 I backed the felt with a scrap denim piece with a semi-sturdy piece of flexible board sandwiched. Oh, oh…How cute are the vehicles? 1. Kids r messy. Don’t opt for light, bright colors unless necessary. Felt easily gets fibres and sometimes even tiny hair stuck in it. 2. Sew everything. Don’t rely on glue even the tiny windows and flowers, those tiny little fingers will rip them off. 3. 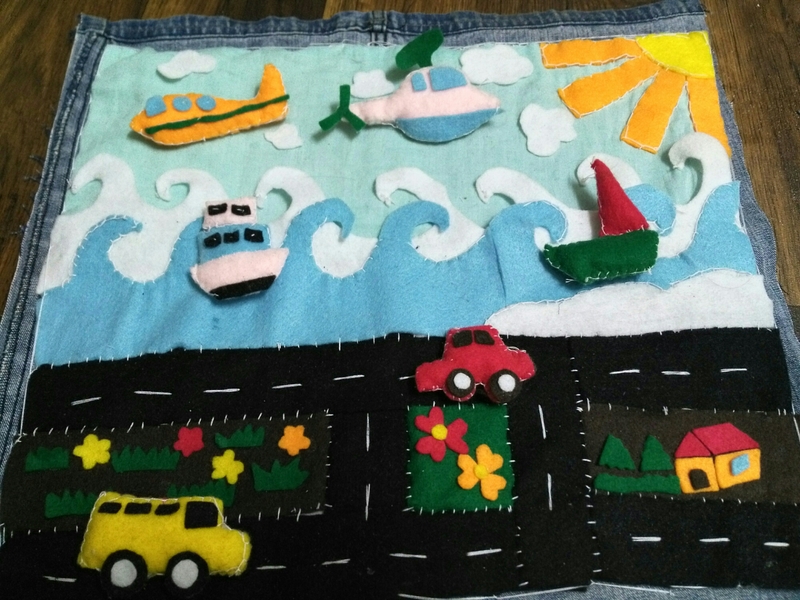 Do not underestimate the time it takes to sew by hand. 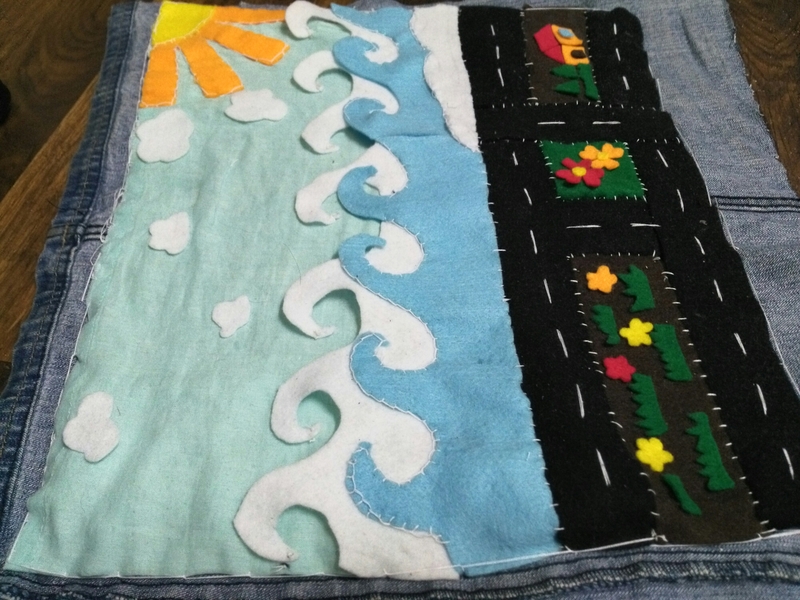 I love sewing but with kids *sigh*… it took me some time to accept that this may take a while. I am that girl who wouldn’t eat or sleep until she finished the book she started reading or complete the painting she just started working on. Took me a little self-calming to work patiently on this one. 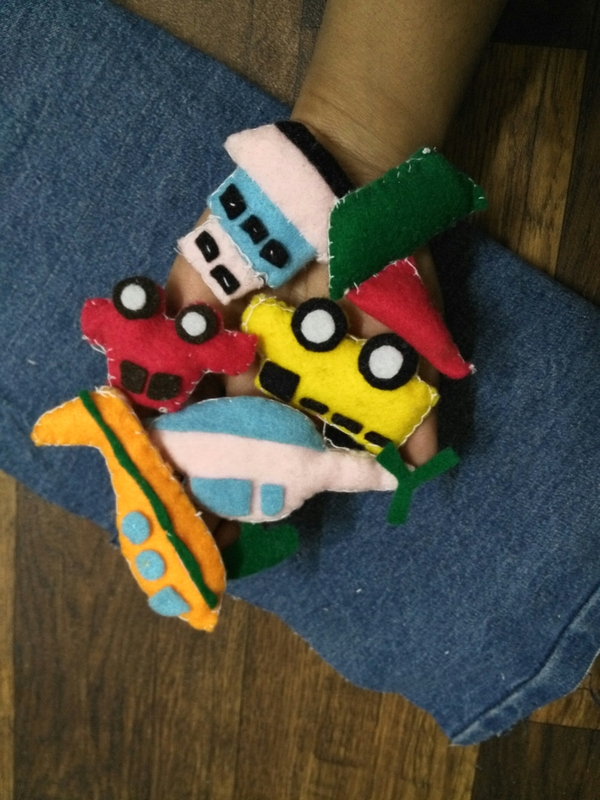 Definitely more felt projects to come, in shaa Allah. That’s adorable. You are passionate about things you do and it reflects in your work. But I am so done. I can’t help, but be cheeky. Striving hard to reach the pinnacle. Sometimes I feel the need to escape to outer spce. It's finally time. 28 years of amazing memories ( 29 if you count my time as a fetus). My home, not anymore. My first everything- My first steps, my first words, my first school, my first friend. I can seriously go on with the list of the firsts. I did my entire schooling here. When I went to Dubai to do my graduation, I only felt more and more rooted to KSA and always defended ‘my home’ when people around asked if it was a boring or a mundane place to have lived all my life. Read the rest by clicking the link in bio. You're the caretaker when you go on a picnic with a backache.